Yoohoo – to further help celebrate theStudio’s Birthday bash, theStudio’s designers have worked together to bring you this awesome blog train: The Second Chances Blog Hop! Here is a look at all the goodies you can collect, together they make a huge, gorgeous Megakit!! Have fun following the train and gathering all those wonderful goodies! Thank you for your part of the blog hop! 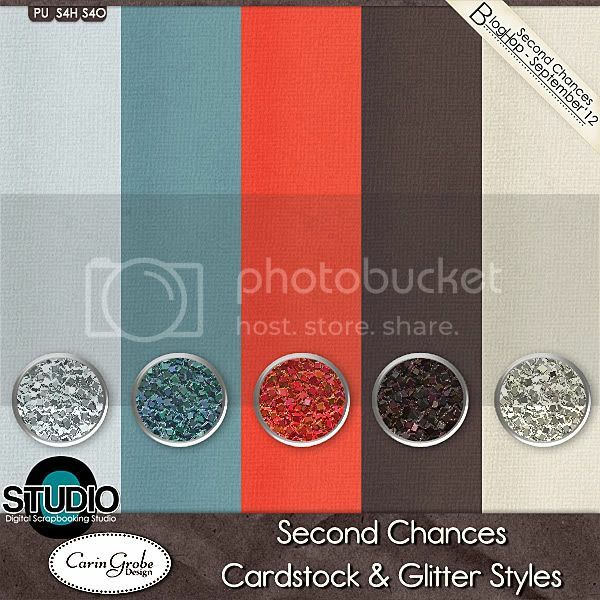 Lovely cardstock and glitter styles! Thank you SO much–these are just the prettiest textured backgrounds. Love the glitter too. Thank you so much for this post. I want to let you know that I posted a link to your blog in CBH Digital Scrapbooking Freebies (please, notice the new url for my blog), under the Page 8 post on Sep. 15, 2012. Thanks again. Oh, I do love me some glitter! Thanks so much – and it is always delightful to get pretty cardstock! Very cute, thank you so much! Thank you for the glitter styles and card stock. Love them. Thank you for these terrific additions! Many thanks for your generosity in sharing your lovely glitter and cardstock and for being a part of the Blog Train! cardstock & glitter! two of my favorite things! thank you! Thank You soooo much for this lovely download…. Thank you so much for your blog train contribution !!! I love a kit with glitters in it 🙂 Thank you so much! Min, thanks for the awesome cardstock and glitters.